Sherman continually toyed with certain songs to create a parody. One song he played around with was "Fly Me To The Moon," recorded by Frank Sinatra and many others. When fame hit he took another crack at it on a Steve Allen Show appearance taped 50 years ago on March 8, 1963. The great song's melody kicks in with the parody's title. And Marvin is on Mars. Almost every article about Sherman mentions the same President Kennedy story. The other ones rarely get a mention. The famous one is about JFK singing Sherman's My Son, The Folk Singer hit single, "Sarah Jackman." (See it here, and here, and here.) And sometimes the story is embellished to attribute the song's and even Sherman's success to Kennedy's endorsement (such as here and here). Another unknown story is the letter Sherman got from the Kennedy White House in November 1962. So let's sort this out. 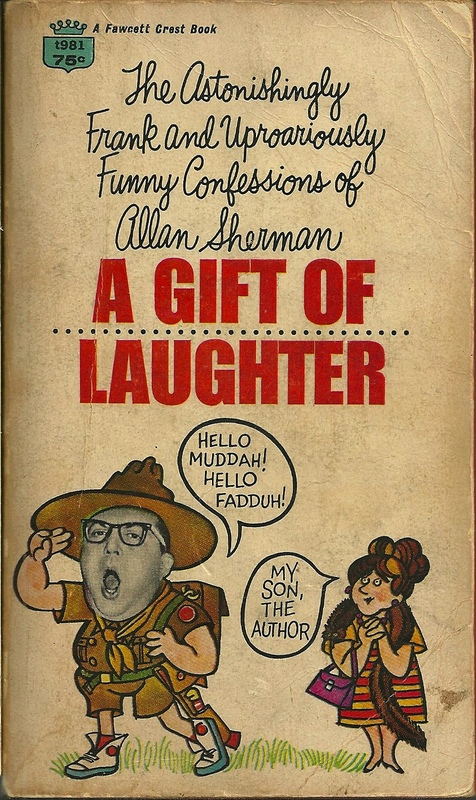 The origin of the story about Kennedy singing "Sarah Jackman" in the lobby of New York's Carlyle Hotel is Sherman's 1965 autobiography, A Gift of Laughter. Sherman is very specific about this bit of news and it's clear he believes it, though it involves a game of telephone that leaves lots of room for error. Sherman heard the story second-hand from his famously roguish manager/agent Bullets Durgom, who told Sherman he heard it from New York Mirror columnist John David Griffin, who called Durgom with the news of Kennedy singing the song. Hey, I tried to nail this down. As Sherman's biographer I felt a responsibility to get to the bottom of this. So I found all the mentions of Kennedy staying at the Carlyle -- where his family had an apartment -- after the October 1962 appearance of My Son, The Folk Singer. Then I requested microfilm of the long-defunct New York Mirror to match those dates and looked through Griffin's columns on radio and television for a mention. Could I have missed it? Sure. But maybe it never made it into Griffin's column. And the only way an item like that could stay out of a columnist's column is if it never happened. And there was nobody to check with. Griffin died in 1966, not long after Gift was published in October 1965. Durgom died in 1992. My hunch is that the most famous story about Sherman and JFK is the one that never happened.